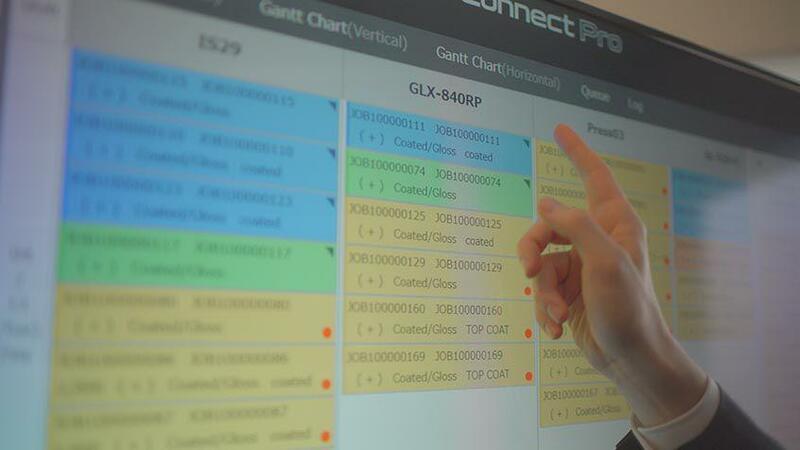 KP-Connect Pro is printing task control software positioned between the MIS and the production site that makes complex task control visible and enables anyone to share the latest operating information in real time. 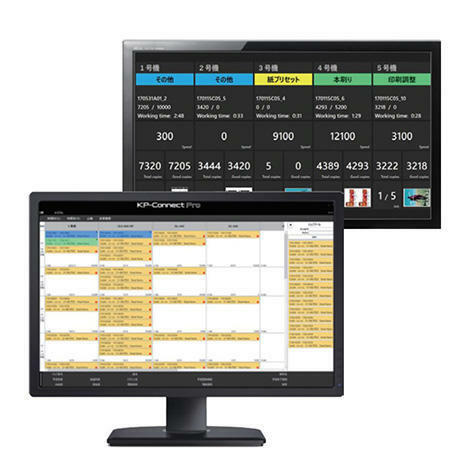 Capable of integrated control, including schedule creation and distribution and production results collection for both offset presses and digital printing systems. In addition, information is made visible in real time by digitizing the operating schedule table and the daily operating report.